The Regional Transportation Authority (RTA) for Chicago and its surrounding region has publicly charged United Airlines and American Airlines with running “sham” business operations conceived to circumvent city and RTA sales taxes. In a lawsuit filed against United last week, the RTA–a municipal corporation of government that oversees the Chicago area’s public transportation departments–claimed that the airline established shell offices in the town of Sycamore, Illinois, where it pays a total tax rate of 8 percent. 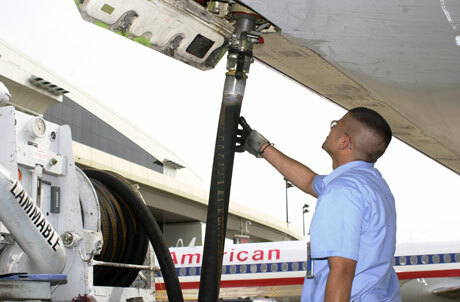 According to the RTA, both United and American operate rarely occupied offices in Sycamore for the explicit purpose of claiming to buy their jet fuel in the town, thereby saving 1.5 percent in sales taxes and depriving Chicago and Cook County taxpayers of nearly $300 million over the last seven years. The RTA has decided to delay filing suit against American Airlines due to the carrier’s Chapter 11 bankruptcy status. Illinois law differs from those in most other U.S. states in that it allows companies to pay sales taxes based on where they “accept” the product, as opposed to where they might actually receive it. The airlines have entered into 25-year agreements with Sycamore, United in 2001 and American in 2004. The RTA further charges that Sycamore “kicks back” to the airlines a large part of its share of the sales tax, amounting to as much as $14 million a year.